What is Distemper in Dogs and Cats? Should I be Concerned? 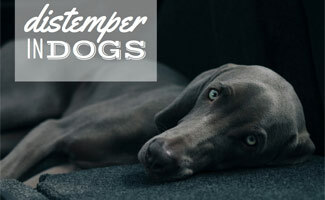 Home > Dog Health > Illness > What Is Distemper In Dogs And Cats? Should I Be Concerned? Canine distemper is a highly contagious and potentially fatal disease that is 100% preventable. That’s why it’s so important to get your dog vaccinated as young as possible. 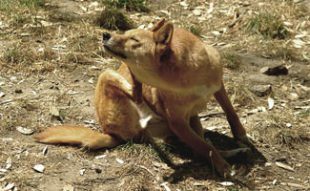 Canine distemper can be contracted easily from other dogs at various places, like the park, groomer or kennel. 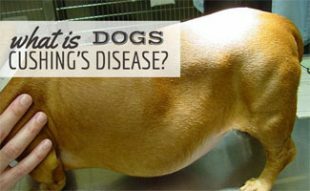 Find out how you can prevent your dog from contracting this terrible disease. Canine distemper is a serious viral illness that is contagious. Unfortunately, it has no known cure. To put it into comparison, it is related to the measles virus. Young puppies who haven’t been vaccinated, and non-immunized older dogs, are highly susceptible to canine distemper. During the later stages when the illness attacks the nervous system, the following symptoms are common. Canine distemper is also known as hard pad disease because it can cause the pads of an animal’s feet to thicken or enlarge. For dogs with weak immune systems, death may occur two to five weeks after infection. There is no distemper shot for dogs to cure your dog of canine distemper. As we stated above, there is no cure. There is the DHPP vaccination, which is a vaccine for distemper, hepatitis, parvo, and parainfluenza. It is 100% effective for canine distemper. This vaccine can help reduce the likelihood of contracting the illnesses. 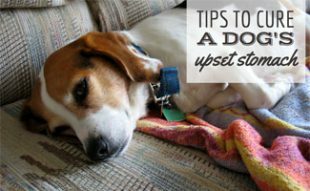 If your dog does become infected with distemper there are ways to alleviate the symptoms. 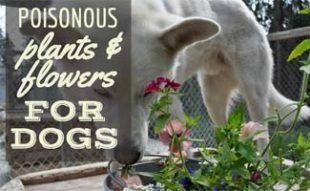 Below is a list of symptoms and ways you can alleviate them for your dog. What Does Canine Distemper Look Like? Canine distemper is truly a sad illness. Below is a video of a puppy with the illness. Feline panleukopenia virus, also known as feline distemper, affects the blood cells in the intestinal tract, bone marrow and stem cells of a developing fetus. It can lead to an anemic condition and can open the body to other viral or bacterial infections. The virus can survive years in a contaminated environment, and vaccination is the best way to prevent the illness. Kittens two to six months old are at the highest risk, as well as pregnant cats and cats with weak immune systems. Cats that survive are immune to a second infection from feline distemper (similar to humans with the chicken pox). The odd thing about feline distemper and canine distemper is that they are not related to one another. Below is a list of symptoms of distemper in cats. The feline distemper vaccine helps prevent the disease as well as protect against feline herpesvirus, calicivirus and sometimes feline leukemia. This vaccine is considered a main vaccine for cats. The distemper shot for cats can be administered as early as six weeks old. It is then administered every three to four weeks until the cat is 16 weeks old. If the vaccine is being given to adult cats or kittens older than 16 weeks, they should receive two doses, three to four weeks apart. One single dose is given one year after the last dose and then again every three years. Thanks to distemper vaccines we don’t see as many cases of canine or feline distemper. No dogs have immunity to the canine distemper virus, which means no shelter does either. Vaccines can save your pet’s life. The canine and feline distemper vaccines can be the difference between life or death for your furry companion. Do you know a dog or cat that has suffered from canine or feline distemper? My dog Jack has had many of these symptoms and I haven’t been able to diagnose the problem so perhaps it’s Canine Distemper? I don’t know though, so am going to take him to the vet just to be on the safe side!